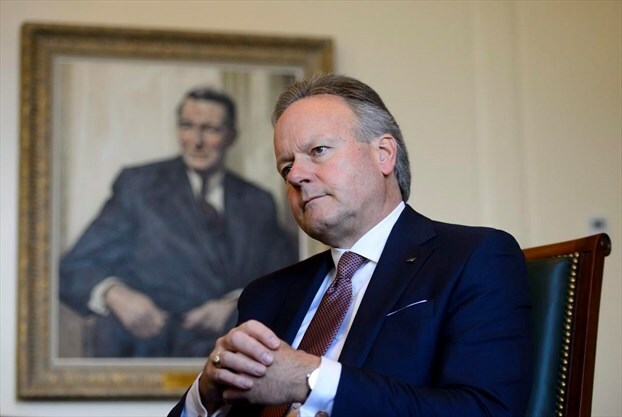 Poloz's remarks Monday came with his central bank on a clear rate-hiking path. It's been signalling it will raise the benchmark from its current level of 1.75 per cent to what it calls its neutral policy rate of around three per cent, give or take. Last week, the governor advised Canadians — many of whom are carrying high levels of debt — to get used to the idea of three per cent rates as the new normal. His warning followed the central bank's fifth interest rate hike in 15 months. But Poloz noted Monday that there are also unknowns around this landing zone — and it could change. "Everything in economics has a wider range around it than we realize, but still it's sufficiently uncertain and ... it's, in principle, movable," Poloz said in response to a reporter's question about the uncertainty around the estimated range following his speech to the Canada-U.K. Chamber of Commerce in London. "Developments in the world economy could cause it to drift up or down because there are a lot of global ingredients to that, not just a purely Canadian phenomenon."